I wanted to introduce to you the beautiful Mother’s Love Baltic Amber breastfeeding necklace from Spark of Amber. Every mom who is breastfeeding for any length of time knows how distracted little ones can get as they get older! It’s like nursing time is playing time, and they have to have something to do with their hands! I experienced this with all three of my children while breastfeeding, and especially as they got older. When my oldest son (now 10) was young, I purchased a beaded breastfeeding necklace, to entertain him while he was eating. He loved having something to play with. This nursing necklace was very colorful, but not something I would want to wear out and about, because the colors didn’t coordinate with most of my outfits! 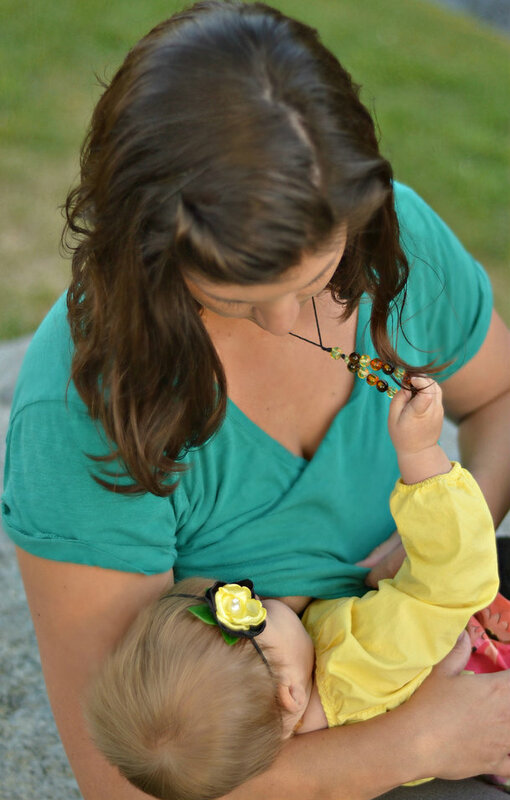 That’s why I absolutely love the Spark of Amber Mother’s Love Breastfeeding Necklace—it is not only fun for baby to play with while nursing, it is beautiful for moms to wear! It really matches almost any outfit, and is a great accessory. The Amber is beautiful–high quality and breath-taking. The Mother’s Love Baltic Amber breastfeeding necklace measures 18-19″ long, perfect length for baby to be able to play with while eating! These breastfeeding necklaces are carefully hand-crafted of authentic Baltic Amber beads, polished to perfection. They sell at Spark of Amber for $34.99 with FREE SHIPPING in the United States. These Baltic Amber Breastfeeding Necklaces make a great baby shower gift for a new mother! They are a keepsake she will have for a long time. They come packaged suitably for gift-giving. 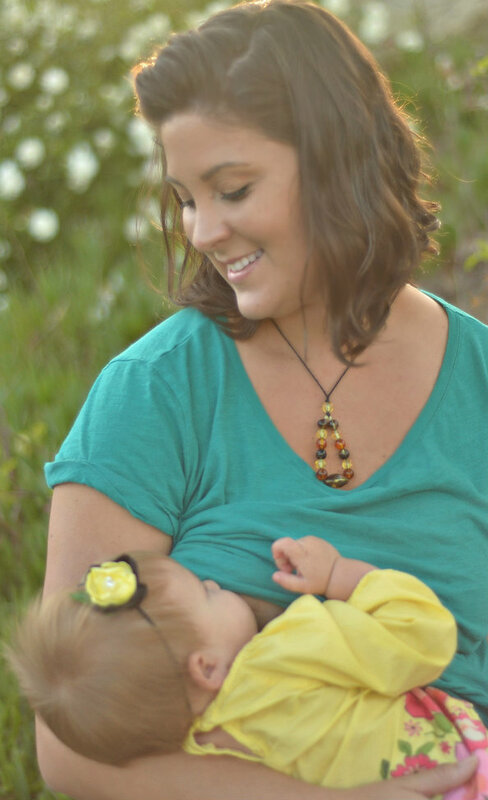 With the Mother’s Love Baltic Amber breastfeeding necklace from Spark of Amber, mom can experience all the benefits of 100% natural Baltic Amber, while providing baby with an enjoyable play-thing while breastfeeding! 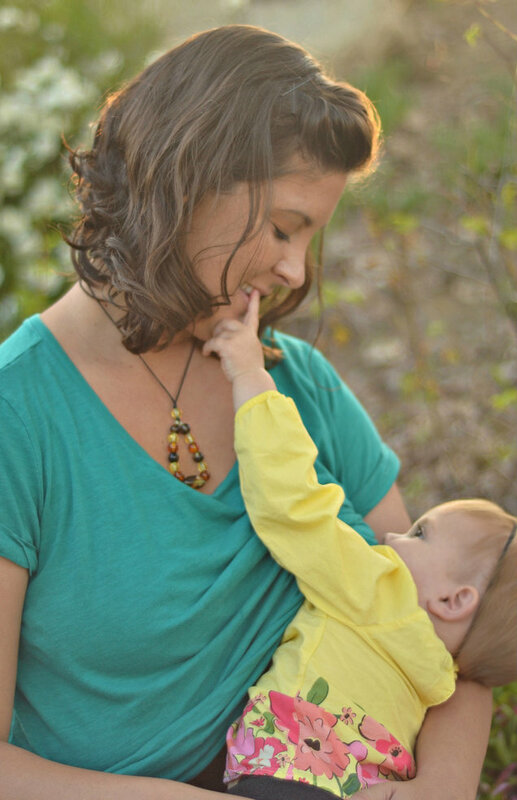 You can purchase the Mother’s Love Baltic Amber Breastfeeding/Nursing Necklace in our store at www.sparkofamber.com. For the latest information on our newest products, please visit our friendly Facebook community! This entry was posted in About Baltic Amber, Baltic Amber Gifts, Baltic Amber Jewelry, SparkofAmber News, Special Offers at SparkofAmber, Uncategorized and tagged Amber, amber breastfeeding necklace, amber gifts, Amber jewelry, amber nursing, amber nursing necklace, amber website, baltic amber breastfeeding, baltic amber breastfeeding necklace, baltic amber gifts, baltic amber jewelry, baltic amber necklace, baltic amber nursing necklace, benefits of Baltic Amber, breastfeeding jewelry, breastfeeding necklace, nursing jewelry, nursing necklace, why Baltic Amber. Bookmark the permalink.